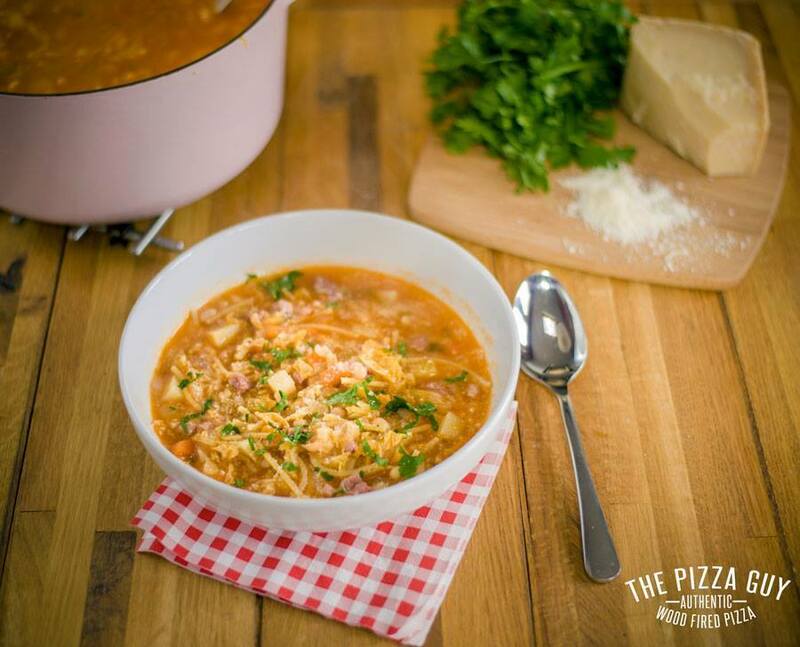 Minestrone Soup – It’s not pizza but you’ll like it. 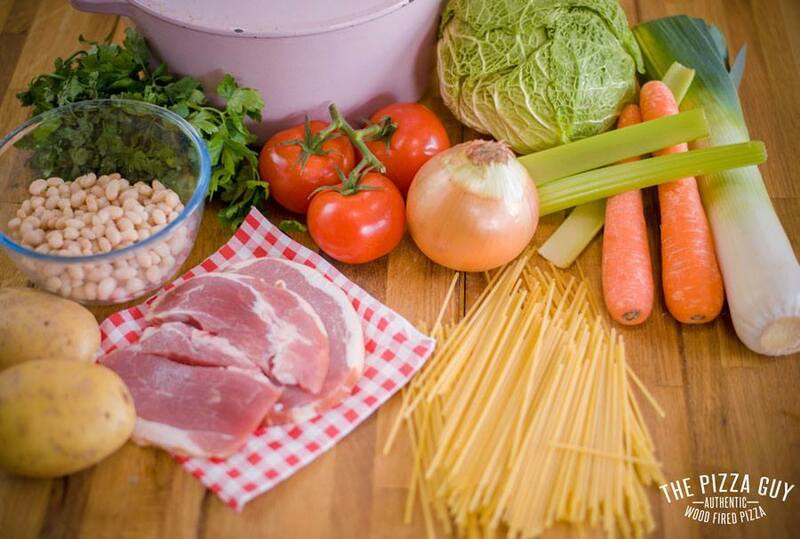 Minestrone Soup is one of the greatest soups, and my recipe is easy, tasty and you wont find it in a tin. It contains every food group, so it really is a one stop shop when it comes meal times. Over a medium heat a little olive oiling a large heavy pan. Add the bacon, and quickly sear, before adding the Carrot, Leek, Onion and Celery, place the lid and sweat the vegetables for about 10 minutes, stirring occasionally making sure nothing sticks. Then add the shredded cabbage, the beans, the potato and the tomatoes stir though, again replace the lid for about another 10 minutes to soften the veg. Add the chicken stock, and bring to the boil, then add there pasta and simmer for about 9 minutes or until the pasta has cooked.